Brian Savage is a Republican state representative of Swanton, Vt., where he spent most of his life. He graduated from Missisquoi Valley High School and spent 33 years as a banker. He has been in Legislature for 10 years, and now takes on the role as the “whip” for his party. In this episode of Vote for Vermont, co-hosts Pat McDonald and Ben Kinsley interview Rep. Savage about Republicans’ legislative priorities for issues including taxes, education funding, marijuana and more. During the discussion, Savage talks about the status of Vermont’s economy, creation of jobs, maintaining clean water in lakes and rivers, and fighting the opioid crisis. Savage expressed disappointment in the state walking away from a $26 million savings opportunity on a teacher healthcare contract, and he also says that education funding is “broken beyond repair” due in part to Vermont’s Act 60 and 68. He also spoke about this year’s marijuana legalization and the failure of 12 different amendment proposals to regulate marijuana use to protect children and non-pot smokers. He said his goal is to see individual towns voting on how marijuana is distributed, as well as implementing some sort of tax-and-regulate model in the coming years. The Vermont republican party better get serious in a search for a true conservative to run for Governor,because failure to do so will result in a loss of the Governorship in the state. Their current office holder lacks much in the way of conservative values,the only difference between him and any other leftist in Montpelier is the initial after there names. Now WHY Vermont feels they need to subsidies someone property taxes that’s making nearly 3x the median income in just FOOLISH! The cap was most recently raised from $130,000 under Shumlin. It creates a total disconnect with voters and the money being spent. 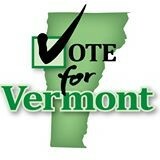 As long as this system is in place your property taxes will continue to skyrocket as mine did when I lived in VT.